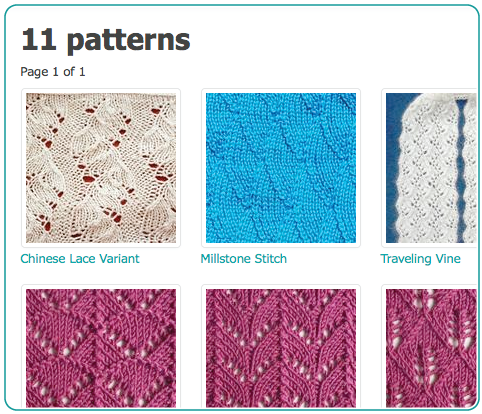 Click that checkbox, and the Browse page will show you which stitch patterns have swatch photos. I don’t know about you, but I think this is way cool. What if you ask for the search results to be shown swatch photos without clicking the “With swatch photos” checkbox? Simple: you’ll see swatch photos for the stitch patterns that have them, and stitch maps for those that don’t. That’s not all. The Browse page now lets you search for all the patterns contributed by the same person. Enter your own username to see all the patterns you’ve contributed. 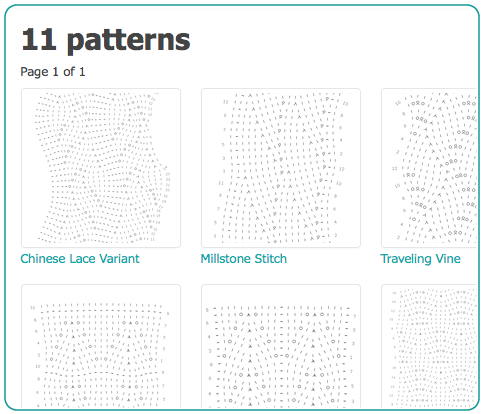 Or use the “Contributor” link on any stitch pattern’s detail page to see all the patterns contributed by that person. Back on the Browse page, if you have a subscription you can choose to see any combination of your public, private, and hidden patterns. This is a quick way of verifying that all your patterns have the visibility settings you prefer. One last goodie: by default, the Browse page now displays the most recently added stitch pattern first. This ought to keep the Browse page “fresh,” don’t you agree? 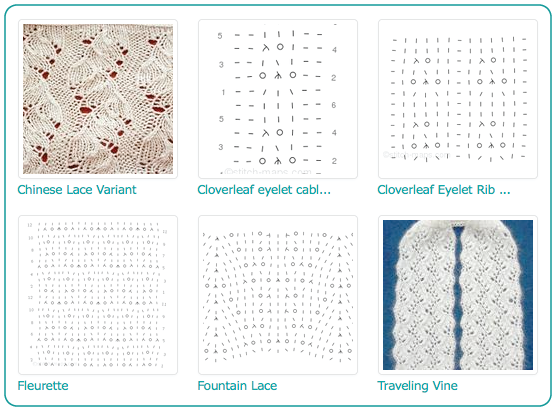 But don’t worry – you can still see the stitch patterns ordered alphabetically by name if you prefer.